A total of 2.2 million individuals above 15 years old have connected to a SVoD service each day on average over the last six months, according to the barometer set up by advisory and research companies NPA Conseil and Harris Interactive. In early June, the level was even higher than the average observed since the beginning of the year with 2.6 million daily users. According to the study, the presence of children in the home has a positive impact on the SVoD audience. Usage is twice higher in homes with children than in homes without, rising from 3.3 per cent to 6.2 per cent. The study suggests that 42 per cent of SVoD users also report taking a pay-TV offering, compared to the 29 per cent of the pay-TV subscribers accounting in the global TV homes. NPA and Harris consider SVoD to be a complementary usage that doesn’t necessarily replaces other means of TV consumption. SVoD audiences are driven by US productions, representing two-thirds of content viewed, but less than a half of the SVoD offering. 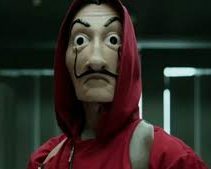 In addition to hit series 13 Reasons Why, recording high figures over the last six months for Netflux in France, La Casa de Papel (pictured) has registered 17 million views on the platform in the country, across all episodes, from January 1st to May 20th. It has also been a leading title in SVoD consumption in France for fifteen weeks. Conversely, French productions account for 23 per cent of the total offering but 13 per cent of the audience. This leaves a real opportunity to the recently-announced platform Salto, a joint-venture between TF1, France Télévisions and M6, suggests NPA Conseil.